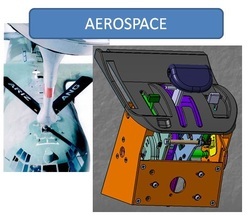 TECHcetera composite structures have provided high performance solutions to challenging requirements in the aerospace and sporting goods industries. TECHcetera has provided design, analysis, & testing services for new & existing amusement rides. TECHcetera has contributed to most sectors of the aerospace industry. TECHcetera projects support industrial and manufacturing endeavors in various markets.